Cool, calm, and collected – that's us. 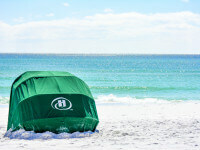 In fact, that's one of the all-time best things about our full-service Destin Florida resort hotel, the only Florida Gulf Coast beach resort of its kind in Northwest Florida. We bring you everything you need in one place. We even have a room to fit every need, including bunk beds for children. 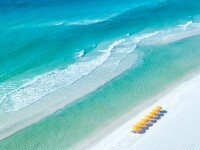 At the Hilton Sandestin Beach Golf Resort & Spa, we have it all for an unforgettable stay. Motorcycles, RVs, trailers and buses are restricted on property. $25.00 a day. We are proud to offer complimentary valet parking for fully electric vehicles and thank you for your efforts to make the world a greener place. We also provide charging stations within our valet area complimentary to our guests. Oversized spacious guest accommodations. Award-winning service. 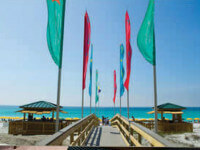 And a sparkling location along the beaches of the Gulf. It's tough to get much closer to paradise. Treat yourself to the Hilton Sandestin Beach Golf Resort & Spa, Northwest Florida's premier resort hotel, and leave the world behind. 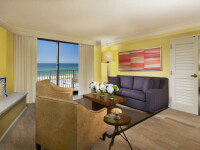 Book your reservations at our luxurious Destin resort online today for Our Best Rates. Guaranteed.